St Chad’s CE Primary and Nursery School in Cheshire has become an IQM Flagship School. St Chad’s C.E. 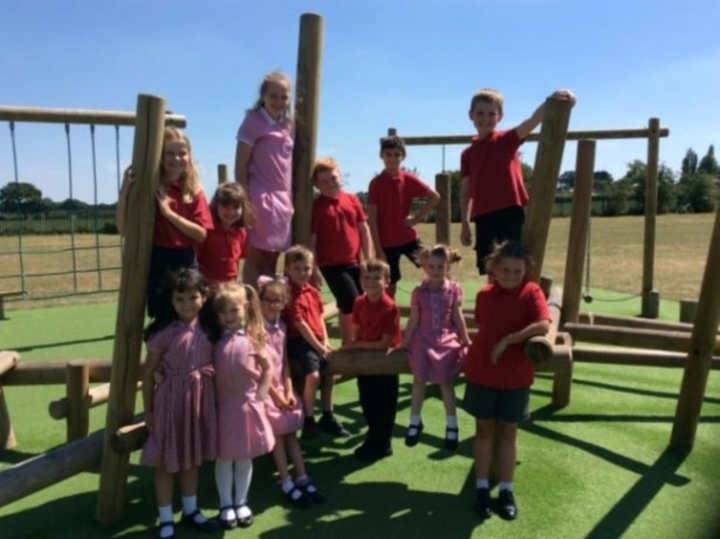 Primary School is a successful school which was acknowledged in its most recent Ofsted inspection in June 2017. In the 2017 Ofsted report, it was noted that they “…have worked together to ensure that this school has risen from the ashes of its previous underperformance.” Under the leadership of the current Headteacher and her senior team, the school continues to go from strength to strength. St Chad’s is a smaller than average sized primary school. Children come from a mix of socio-economic backgrounds. Just under a third of all pupils are eligible for Pupil Premium funding which is above average. The school continues to work with the Autism Team for the local authority and the Inclusion Coordinator recently hosted an IQM Inclusion Cluster Meeting and shared the school’s excellent practice with colleagues from the cluster group. It should also be noted that the Inclusion Coordinator delivered a keynote presentation to the Diocese Conference and explained how the school has used “IQM as a model for change”. This year, the school has added to its portfolio the Attachment Friendly School Award. All staff have been trained in how to support within the classroom and this knowledge and expertise was also shared at the recent IQM Inclusion Cluster meeting. With considerable community support, the school has almost completed its sensory garden. The one outstanding feature will be the construction of the ‘Hobbit Hole’ which will be completed during the summer holiday. A local builders merchant and supermarket donated material and the Environment Agency engaged in the community project to dig the paths and install the membrane and aggregate. The garden looked resplendent in the sunshine and nestled next to the productive allotment area. In another area of the school grounds, I visited a wooded section that had recently been ‘reclaimed’ after years of being virtually abandoned. During the reclamation a natural pond was found. One of the first members of staff I met when I visited was Darcie who is a one-year old Cockapoo Therapy Dog. On the school’s website, Darcie is listed as a member of staff and there is a delightful, heart-melting photograph of her! Darcie has been carefully integrated into school and she is a hit with the children. Anecdotal evidence demonstrates the positive impact that she is having with children particularly those most vulnerable. Impressive developments have taken place this year to develop a whole school approach to LGBT and inclusion. The school has engaged in training from the Rainbow Flag Award and is now pursuing the Stonewall School Champion Award. The Inclusion Coordinator attended the Train the Trainer course in June this year. The school has amended displays and the website removing unnecessary gender designations for example, the school uniform information no longer attributes gender to any items included in the list. The school has continued to improve outcomes for pupils across the board and progress is good. Nevertheless, leaders are aware of areas that still require improvement including attainment generally and mathematics in particular. This year there has been an increased focus on more able children, mastery teaching and curriculum development to facilitate greater depth. Through engagement with Achievement for All, the school has also completed work on provision for Pupil Premium. The school continues to monitor very closely, the progress of all children. The lead for mathematics is a Specialist Leader for Education for the Cheshire Learning and Teaching Alliance and is a maths mastery specialist for the National Centre for Excellence in the Teaching of Mathematics (NCTEM). The Headteacher shares the lead for literacy and is also a national moderator for writing. There is greater emphasis being placed on reading for pleasure. Pupil attendance continues to be a significant challenge. This year, unauthorised holidays have doubled and have therefore had a large impact on overall attendance. That said, there are case studies that show very positive improvement in individual pupil’s attendance. Through engagement with the Achievement for All programme, the school is now deploying the ‘structured conversation’ model with parents. Impact is yet to be measured as this strategy is intended to work over the long term. The school is actively raising the profile of attendance and promoting and encouraging more positive attitudes through a variety of strategies including rewards, ‘late gates’ and the use of social media. The new Headteacher has formed a ‘Family Forum’ and, in my discussion with members of that forum, it was apparent that ideas generated at those meetings have been incorporated into school policy and practice. Examples include the reformatting of reports and a homework guide has been commissioned in response to parents’ and carers’ requests. Governors are knowledgeable about, and very supportive of, the school. Since my last visit, four new governors have joined the board and bring with them considerable experience and expertise which is highly appropriate to the continued development of the school. In my discussion with governors it was abundantly clear that inclusion lies firmly at the heart of this school. Governors wholeheartedly support this ethos and they are acutely aware of the context of the school. Governors have produced their annual action plan but this year they have added a question to the header which simply but rightly asks “Is this school good enough for my child?” Governance is strong and has played a crucial role in moving this school forward and the evidence suggests that they will continue to provide an appropriate balance of support and challenge. During my visit I met with members of the Ethos group made up from representatives from each class. They were very polite, articulate and engaging young people. They showed me a book that chronicled their work from that year which was very impressive. It also contained a number of evaluations of aspects of the school, for example weekly worship, which was fed back to the Headteacher. They have also taken part in a Diocese competition to design prayer banners. This year, the group has coordinated the efforts of the school to fill 49 shoeboxes for Operation Christmas Child and with their Church, they contributed to the local foodbank at Harvest. The group also told me about their work with a school in Uganda. They are developing links with Nyakabungo Primary School where children have to walk up to 5km to get to school having already collected water for their family! The ethos group told me how they attempted to replicate this experience and how it helped them to have empathy with the children in Uganda. They have raised money through a sponsored walk and they are continuing to devise ways in which they can help further. This is a very good and improving school with a dedicated staff and board of governors who are fully committed to retaining a truly inclusive ethos. Leaders have a clear vision and determination to improve and to ensure that every child feels safe and is valued as an individual.